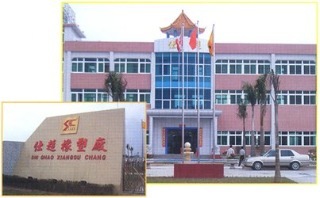 Our factory is locating in the famous Zhujiang Delta Economic Zone of Kaiping City. Our leadership in the automotive accessories industry gives us the ability to be fully competitive in the production of standard as well as specialized mats. was established in 1993 with limited assets. After more than 20 years of operation, we have become a medium sized enterprise with lots of valuable experience. Our main factory has more than 18,000 sq. meters of space with more than 300 employees. Our mission is to offer our customers the best quality at the most competitive price. This mission will never change. Our quality control department has developed minimum toleration standards throughout the design, sampling and production processes. Our products have been marketed around the world and have achieved widespread acceptance and praise. We have an extensive line of automotive accessory products. This includes PVC car mats, auto mats (with all kinds of carpet), house door mats, handles for motorcycles and bicycles, auto splash guards, cup coasters, key holders and more. Our Research and Design Team is constantly developing new products and improving existing products to meet market competition. As consumers and clients, you are always welcome to order your customized products from our factory. Should you have any concern about our products, please contact us, because you are the ones that make our business successful.